Hello, welcome to Team Evelyn Donation Page. This is Damaris speaking on behalf of the team. To start, I do this walk every year in dedication to my mother. She earned her wings to heaven on March 13, 1998 after her hard battle with AIDS. She was and still is a beautiful person inside and out. She was very much adored in this world and sparked a light in everyone she had ever met. I miss her dearly and doing this walk is important to me so Team Evelyn can help others life with the donations raised. Mommy, this is for you! My angel and best friend. ❤💕 I love you always and forever. Thank you for visiting Team Evelyn fundraising page! 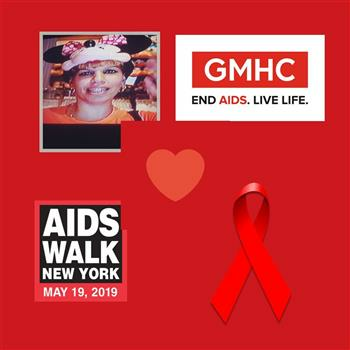 Please support us by making a donation here to AIDS Walk New York.